Although the response was not that great with only 150-200 people putting up their views. Maybe because we had the e-mail id / name to be filled. 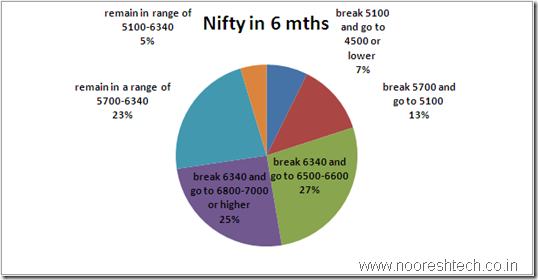 More than 50% of the people believe Nifty will make new highs. Only 7% believe we may break 5100. 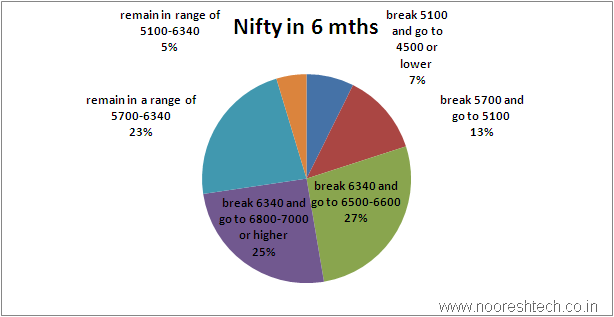 23% believe we will be stuck in the range of 5700-6340. Lets see how it goes. 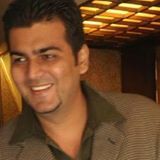 For me its better to be stock specific and remain alert / flexible.